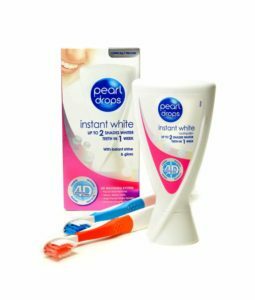 Do Whitening Ingredients Hurt Your Teeth? Home | Patient Education, Teeth Whitening | Do Whitening Ingredients Hurt Your Teeth? Wanting white teeth dates back to the ancient Greeks, but the fluorescent bright smiles of the rich and famous have made the general public covet white teeth even more. Teeth whitening is a multi-billion dollar market these days. Whitening products do work for most people, whether professional or over-the-counter, but do you wonder what is in them? How safe are they? Are the active ingredients that make your teeth white hurting your teeth? Peroxide: Probably the most common whitening ingredient, peroxide is used to bleach tooth enamel. Sodium Tripolyphosphate: Is a detergent used to help remove tooth stains. Sodium Bicarbonate or Baking Soda: Is used as a mild abrasive to help remove tooth stains. Hydrated Silica: Is a mild abrasive for removing tooth stains. If hydrated silica is combined with calcium carbonate it also works to eliminate plaque. Polyvinylpyrrolidone (PVP): Used as a suspending agent to prevent stains from sticking to tooth enamel. Calprox: A non-abrasive ingredient that dissolves the thin pellicle layer to which coffee, tea, and food stains adhere. Although using teeth whitening products as directed is safe and effective, white teeth don’t last forever. Don’t be tempted to whiten your teeth too often because this can lead to porous teeth and damage your tooth enamel.